Type locality Tanzania (Camponotus maculatus F. subspec. pulvinatus nov. subspec., Mayr, 1907b: 19, minor & media workers; raised to species Baroni Urbani, 1972: 131) Kilimanjaro, Kibonoto; workers only described (see Bolton, 1995) . 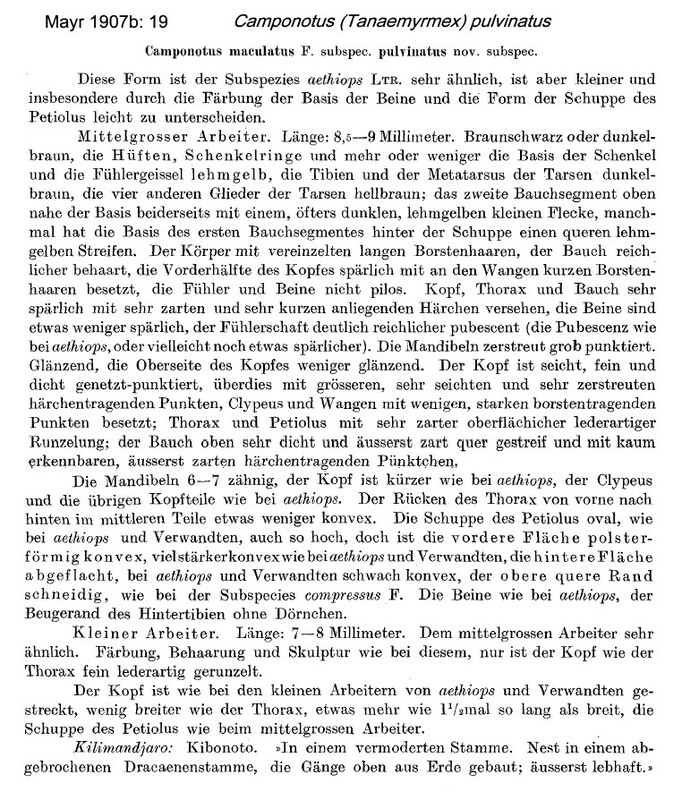 Mayr's (1907b) description is at . 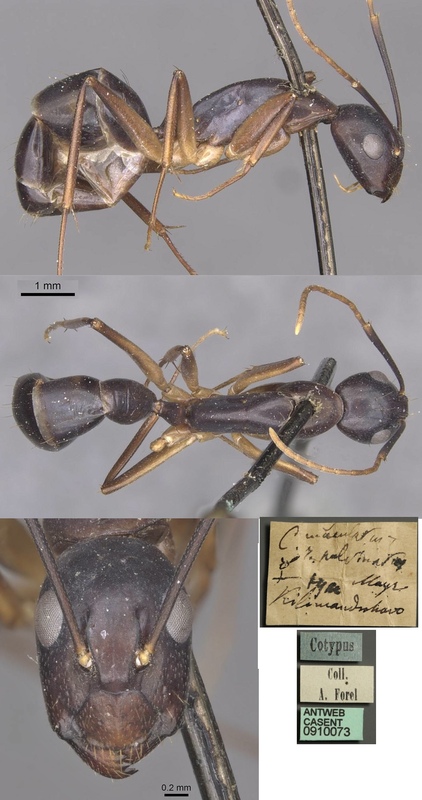 The main comparison is with Camponotus aethiops, type location France (northern Mediterranean?). The photomontage of the type major worker is collated from http://www.antweb.org/specimen.do?name=casent0910072. The photomontage of the type minor worker is collated from http://www.antweb.org/specimen.do?name=casent0910073.